Puppy Love Dog Salon dog groomer and boarding facility for sale with real estate. 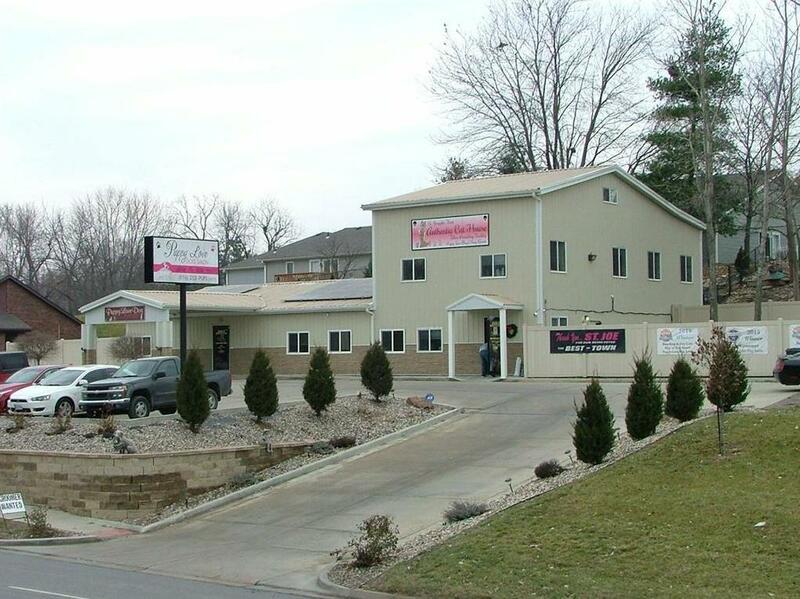 Real estate is comprised of 2 lots totaling .82 acres and a 3100 SF print building. Total building is 4575 SF MOL. 1800 SF 1-story building is currently used for dog grooming. 1250 SF footprint 3-story (2 full floor with a partial 3rd floor) addition is the boarding facility with dogs on main floor, cats on 2nd floor, and room for expansion on 2nd & 3rd floor.Some solar panels reduce utility bills. Parking for 14 cars. 302 S Woodbine Road (MLS #2142670) is a commercial listing located in St Joseph, MO. This property was listed on 12/31/2018 and has been priced for sale at $625,000.